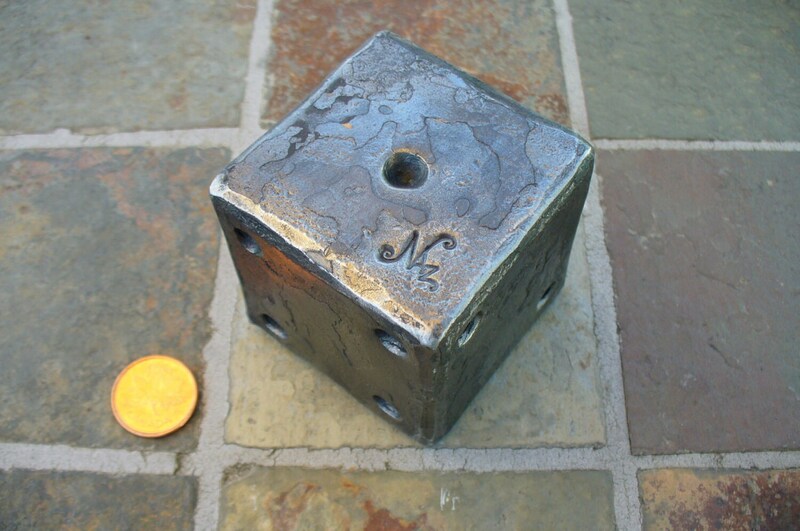 Hand forged and hammerd all around, this solid huge 2" X 2" dice is always a conversation striker during craft shows. The holes are punched in, not drilled. 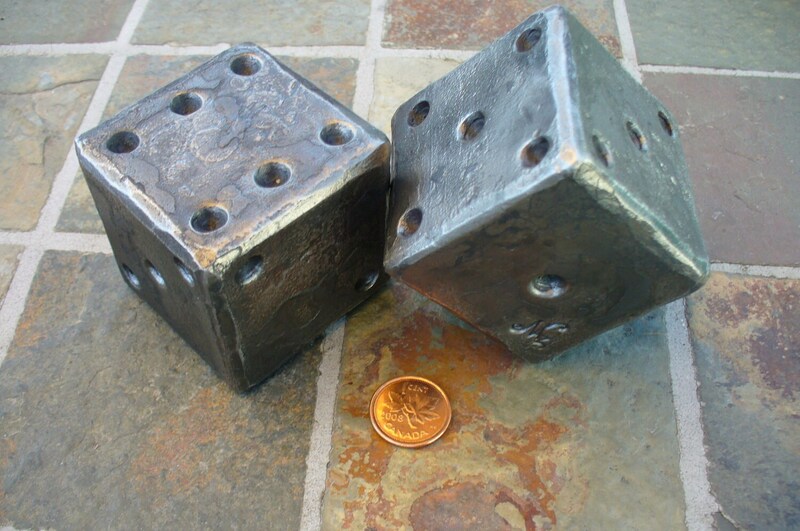 This along with the hammered corners is what completes the pure hand made look. Signed hot with my logo punch "Naz" in the metal. 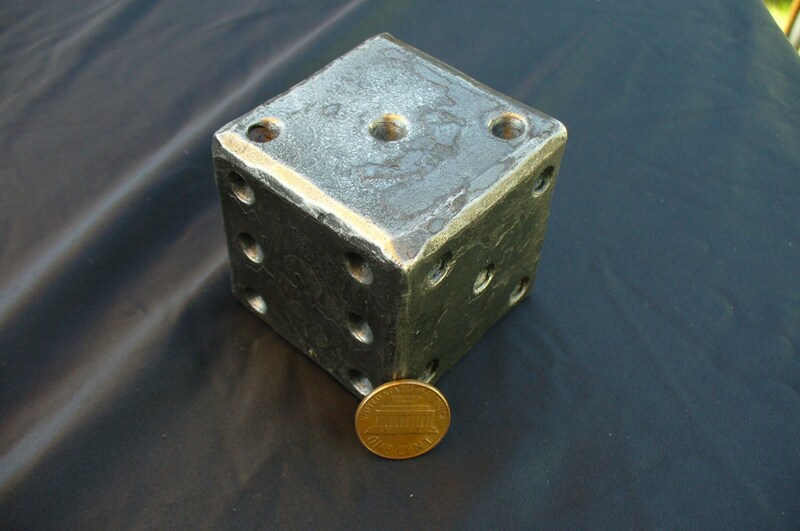 Simply decorative or used as a paper weight, door stopper, or anything your imagination brings up, great gift idea, turn it around for different visual effects. 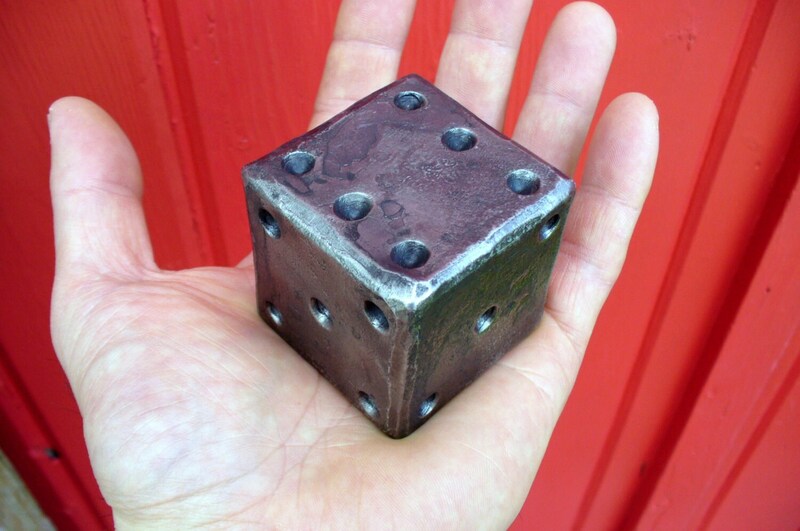 Each die weights approximately 2 pounds (surprisingly heavy when you hold it in your hand). 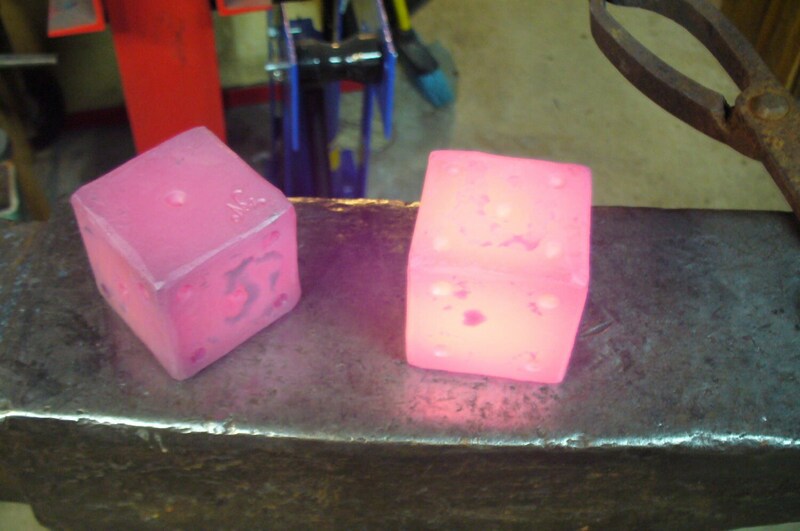 Last photo shows the dice after the forging while they are still hot prior to the cleaning and treatment.